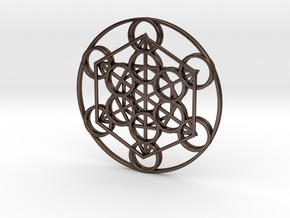 The Metatron's Cube is a 2D geometric pattern created from 13 equal circles. Two layers of 6 circles in a hexagon pattern radiating from the central circle. 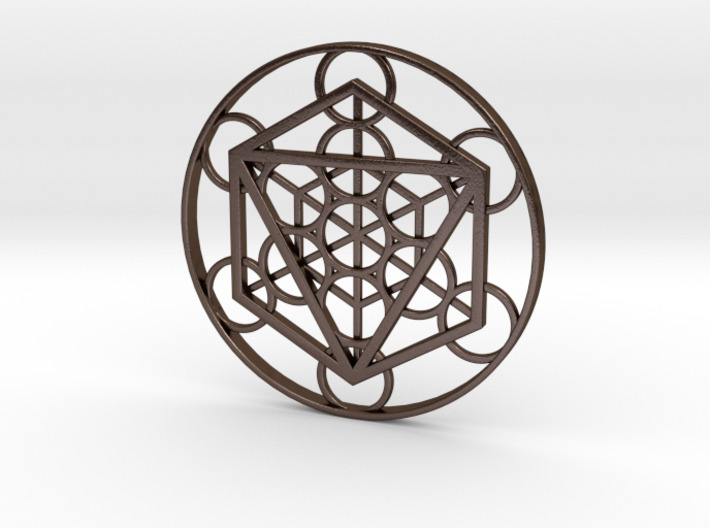 Metatron's Cube shares similarities with the Flower of Life and is a sacred geometric figure with symbolic meaning. 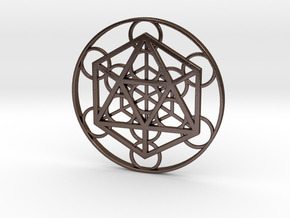 This design incorporates Platonic Solids, Metatron's Cube is superimposed with a Octahedron. 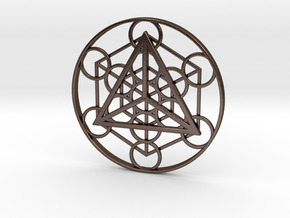 This design is sized as a pendant to be worn around the neck. Any chain or necklace should fit through one of the 6 outer circles which will allow the pendant to sit in the correct position. 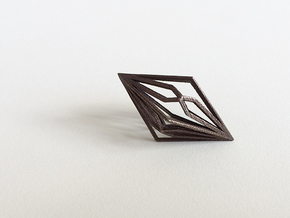 Size of the pendant is approximately 50mm in diameter, about 2 inches.